The former Burson-Marsteller chief executive joined Microsoft three years ago. The company won't replace him in the role. 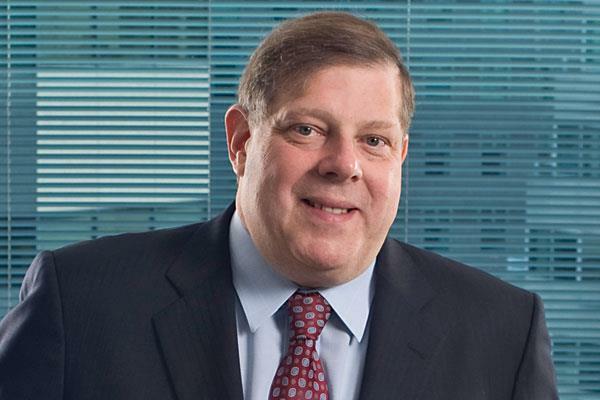 REDMOND, WA: Mark Penn will depart his role as Microsoft’s chief insights officer in September to head up his newly registered investment advisory firm The Stagwell Group. Microsoft corporate VP of corporate communications Frank Shaw said Penn is not being replaced at the company and that his exit will have no affect on its communications team. Penn has worked at Microsoft since August 2012. As EVP and chief insights officer, a role he has been in since early 2014, he has worked on core strategic issues across Microsoft’s products, value propositions, and investments. He has also led the company’s competitive research and analysis, according to a statement. Stagwell will invest in advertising, research, data analytics, PR, and digital marketing services. It has closed on $250 million in investment capital and may use leverage to make up to $750 million in acquisitions, according to a statement released Wednesday morning by the firm. Former Microsoft CEO Steve Ballmer is a core investor in Penn’s firm, which is not accepting new investors, according to the statement. Penn stepped down from his role as global CEO of Burson-Marsteller in July 2012, joining Microsoft as corporate VP for strategic and special projects, after four years in the agency’s top job. The firm named Donald Baer, also a veteran of the Clinton White House, to replace him. Penn was also CEO of research firm Penn Schoen Berland for 37 years. Nearly two years later, Microsoft promoted Penn to his most recent role. Around that time, former EVP of business development Tony Bates and marketing EVP Tami Reller left the company. "Over the years, [Penn] has leveraged his talents and insights on Microsoft’s behalf," said Microsoft CEO Satya Nadella, in a Wednesday email to employees. "From helping craft a Super Bowl ad and helping design new business and marketing models to his work in data analytics, [he] has helped me set the company on a new course." Penn was also a top adviser to Hillary Clinton’s 2008 presidential campaign. In that role, he faced criticism for a perceived conflict of interest after he met with officials from Colombia, then a client of Burson, to discuss work on the US-Colombia Free Trade Agreement, which the candidate opposed. The Colombian government later terminated its contract with Burson, and Penn resigned as Clinton’s chief adviser. While running Burson, Penn was a regular member of PRWeek’s Power List, coming in at number 19 in 2012. Microsoft announced a number of executive changes on Wednesday that are unrelated to Penn’s exit. Its senior leadership team now has a dozen members, including EVP and CMO Chris Capossela. This story was updated on June 17.